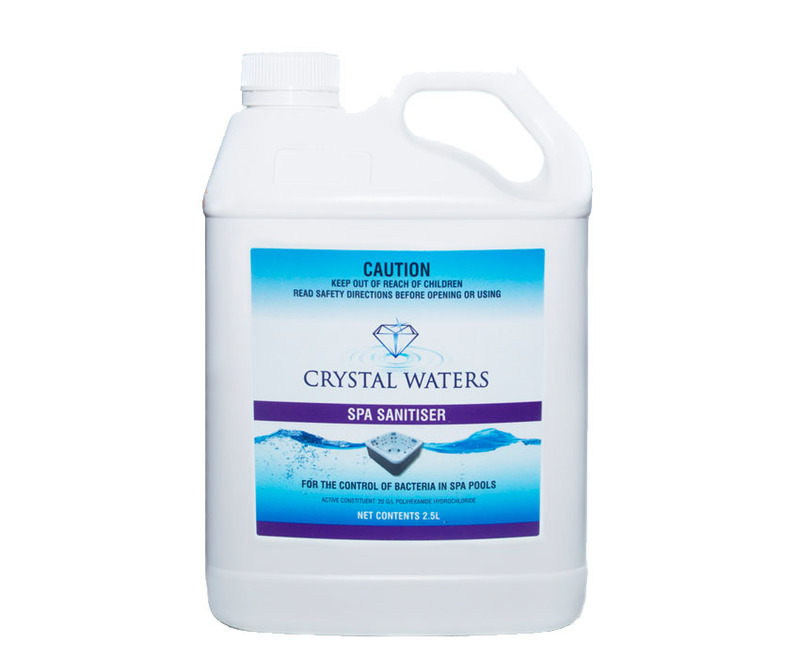 Crystal Waters Spa Sanitiser is the first part of a 3 part, weekly sanitising system. Its 100% chlorine free and is made from a hospital grade sanitiser, commonly used in bandages, hand wash, and contact lens cleaner, so you know its non allergenic and gentle on the skin! 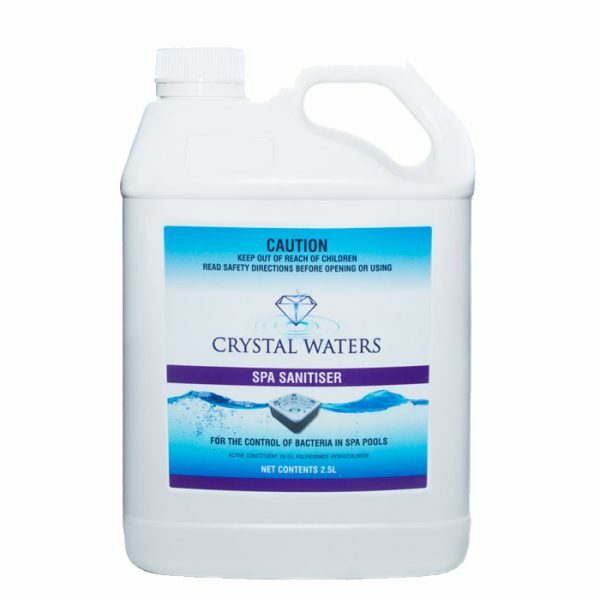 Crystal Waters Spa Sanitiser is so soft that if feels like you’re swimming in a natural spring! This 2.5L variety is expected to last approximately 10 months for a 1000L spa.